In a period of 7 years, some 5 million Americans visited their doctors about a rotator cuff tear. These injuries are incredibly common and quite debilitating. The injury can happen for a number of reasons (both long-term overuse or a traumatic injury). 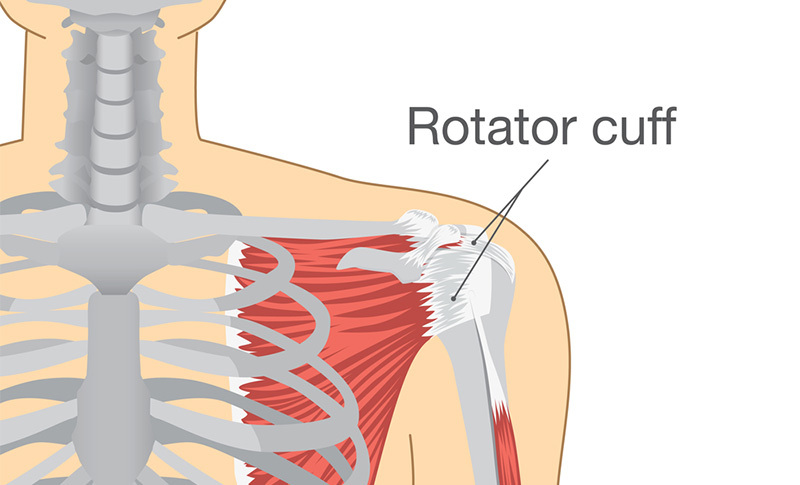 What is a rotator cuff tear? What is a massive tear? The tears usually occur after some sort of traumatic event ie throwing a ball etc however they can also occur as a result of chronic degeneration (this is often seen in elderly patients). Loss of range of movement. Patients will be unable to actively move their shoulder to the range of positions they are usually able to. Being over the age of 60. In fact, one study suggests around 54% of the over 60 population have an asymptomatic tear. A history of repetitive overhead movement. This might be from throwing sports like Baseball or Tennis or could be from activities like painting. A rotator cuff tear is then defined as partial or full and normal or massive. A massive rotator cuff tear is one that is greater than 5 centimeters in size and involves two or more of the four rotator cuff muscles. Some studies have estimated that between 10 and 40% of all tears are massive. How do you repair a rotator cuff tear? The treatment depends on how large the tear is and this will be assessed using MRI or a camera test. For massive tears, surgery is often the treatment of choice. This surgery can be down through a small hole made in the shoulder or by cutting the shoulder open. Typically the smaller camera hole has better results and is offered at specialist clinics across the United States. After the surgery, most patients undergo a period of rehabilitation with a physiotherapist before getting back up to 100%. In patients with a chronic tear (these are more likely to be older patients), a conservative approach is taken first with oral medications and steroid injections preferred first line to a surgical procedure. However, if these patients are still suffering they may be offered surgery with physiotherapy. If you or somebody you know has suffered a rotator cuff injury and needs specialist advice get in contact with a sports clinic today.